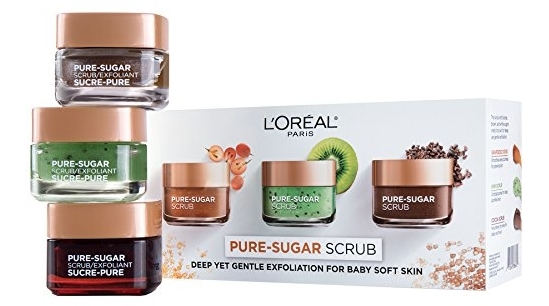 Score bargain pricing right now on the L’Oreal Paris Skincare Giftable Kit with 3 Pure-Sugar Scrub Varieties, Sugar Scrub for Face and Lips, 1 Kit which is on Amazon priced at $29.97 but clip the 20% off coupon and the price at checkout drops to just $23.98! 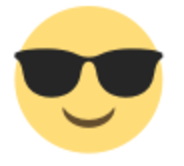 Save up to an extra 15% off when you checkout via the Subscribe & Save option making the price as low as $19.49 or $6.50/each shipped! L’Oreal Paris Skin Experts have created an indulgent and effective Pure Clay Sugar Scrub with the power of key ingredients to improve your skin. The Pure Clay Sugar Scrubs Kit is a starter pack with three different scrubs – Smooth and Glow, Nourish and Soften, and Purify and Unclog. Reveal smooth, glowing skin instantly with L’Oreal Paris’ Pure-Sugar Grapeseed Scrub. This ultra-soft sugar scrub is a naturally derived blend of 3 pure sugars that melts into skin for gentle, yet effective exfoliation and is paired with finely ground Acai, nutrient-rich Grapeseed and Monoi Oils. Nourish and Soften is a naturally derived blend of 3 Pure Sugars paired with finely crushed Cocoa, luxurious coconut oil and rich cocoa butter. This buttery-soft sugar scrub is truly kind to your skin for gentle yet effective exfoliation. Purify and Unclog Sugar Scrub is paired with Kiwi Seeds, Peppermint, and Lemongrass oils. This scrub with brown, blond, and white sugars melts into skin for effective exfoliation and baby soft skin. Use these three scrubs in combination to address your different skin needs, or give the gift of L’Oreal Paris Sugar Scrubs to a friend!